By MIKE NORTON Walking along the river this morning, I watched a flock of hooded mergansers frolicking near the Cass Street bridge – comedic little ducks with huge black and white heads out of all proportion to their bodies. We don’t usually see them until this time of year, when they migrate down from Canada to spend the winters in our relatively mild climate. As they say at House Stark, winter is coming. Here along the Lake Michigan coast, November is a twilight season, punctuated every so often by moments of dramatic color and flashes of sudden brilliance. Not bleak, exactly, but certainly austere: a time of waiting and reflection, stripped of pretension and decoration, poised between the technicolor exuberance of fall and the diamonds and ermine of winter. It can be a stern season for the weak of heart -- but it has its beauty and its sweetness, too. November offers silences and solemnities that are often rare in this hectic tourist town. Those can be healing, soothing things. 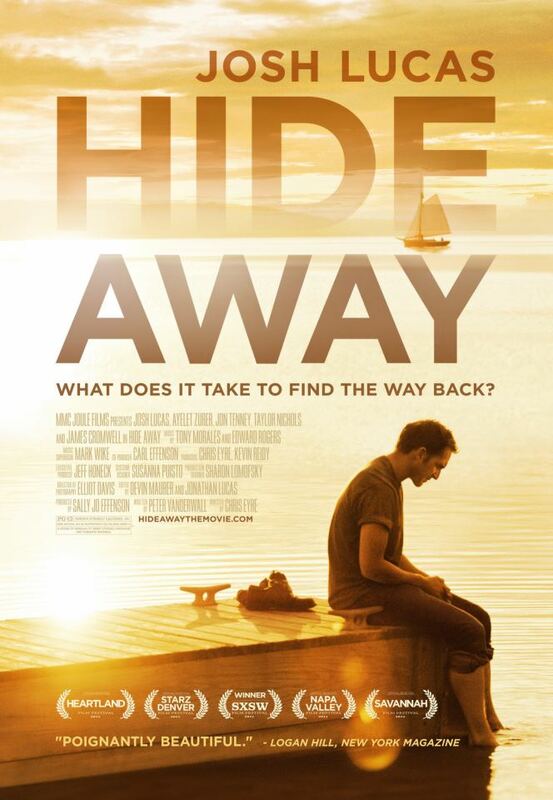 This week I finally had the chance to watch the movie Hide Away, filmed in 2009 in the tidy little marina at Bowers Harbor, just a few miles from House Norton -- coincidentally, during a three-week period in November – and I think it really captures the feel of this time of year on Grand Traverse Bay. I remember all the hoopla back when they were filming (turning The Boathouse into a little dockside coffee shop, shooting some brief scenes in downtown Traverse City) and waiting with everybody else in town to see how the finished product would look. It wasn’t the big hit they’d been hoping for. 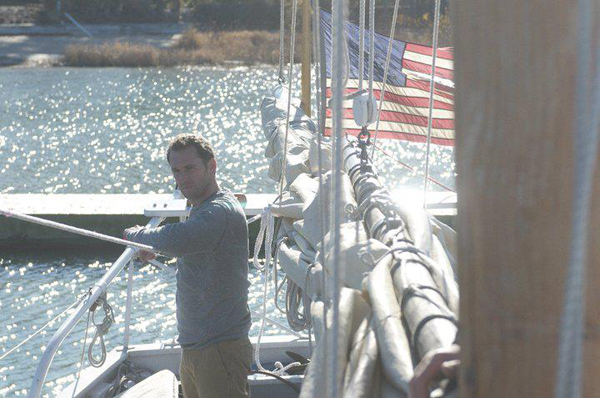 Originally titled A Year in Mooring, it’s an odd little movie without much dialogue, starring Josh Lucas as a young businessman who’s trying to put his life back together after a horrific personal tragedy. He buys a beat-up sailboat and begins to restore it while living aboard – moving through bouts of horrific drinking and self-loathing until he gradually learns to accept the friendship and help of the people around him. There’s not a big market for movies like Hide Away (film people, as a rule, are not November types) and this one opened to decidedly mixed reviews. New York magazine called it “poignantly beautiful;” the New York Post said it was “sappy and awful.” No surprise, then, that it went straight to video. But even the most savage critics of the film’s admittedly ponderous writing and directing gave high marks to Elliot Davis’s outstanding cinematography and the beautiful musical score by Tony Morales and Edward Rogers. In a sense, November is a bigger character in Hide Away than most of the supporting actors, and so is Grand Traverse Bay. It’s not the Bay as we show it in our tourist brochures – the light-infused sheet of turquoise, jade green and cobalt of our sunny days. It’s somber, serious and vaguely threatening; the water we live with when everyone else has gone home. Watching the movie, I kept wondering how it all these familiar scenes of my home – these places, this light, this wind -- would look to people who had never been here before. It was an unsuccessful effort; I simply couldn’t disentangle myself from something so familiar. But I have to say that I enjoyed the experience. Yes, the story was a familiar one, and the dialogue was sometimes remarkably pretentious. But I’ve sat through much more pretentious movies (Matrix, anyone?) And I really liked this one. In the end, I remember thinking. Yes, that’s us. November people.